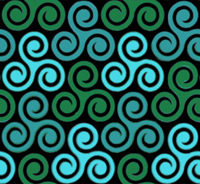 The CR FAQ - An Introduction to Celtic Reconstructionist Paganism - So What is Celtic Reconstructionism? What is Celtic Reconstructionism (CR)? What do you mean by Celtic? What do you mean by Reconstruction? Is it a new or old tradition? How and when did CR start? Whos the leader of CR? How can you recreate a culture thats dead? But, what do you mean by The living Celtic cultures? Celtic Reconstructionist Paganism (CR) is a polytheistic, animistic, religious and cultural movement. It is an effort to reconstruct, within a modern Celtic cultural context, the aspects of ancient Celtic religions that were lost or subsumed by Christianity. There are some survivals of pre-Christian Celtic traditions in the lore and folk practices of the Celtic countries and the Celtic diaspora but, after centuries of Christian overlay, most people do not find these folk traditions by themselves to be a whole or viable spiritual path. By studying the old manuscript sources and the regional folklore, combining this information with mystical and ecstatic practice, and working together to weed out the non-Celtic elements that can arise, we are nurturing what still lives and helping the polytheistic Celtic traditions grow strong and whole again. We approach this in part by trying to envision what different Celtic Paganisms might look like today if they had been uninterrupted by Christianity, much as Hinduism has changed over the centuries, remaining the same religion but changing in form with the changing times. Celtic applies to a group of related languages in the Indo-European language group and the cultures that developed in the communities that speak these languages. Celtic identity is not based on genetics or blood but on being part of this linguistic and cultural grouping. Celtic is pronounced Keltik unless you are French, in which case it is Selteek. Dont ask us about the Boston basketball team or the Glasgow football/soccer club. We have no clue. CR greatly values the study and preservation of Celtic languages as well as participation in the living Celtic cultures. Language is the key to understanding a cultures mindset. While fluency in a Celtic language is not a prerequisite to participation in the CR community, people serious about developing the tradition almost always dedicate themselves to studying one of the Celtic languages as part of their CR practice. So what are the Celtic Languages? There are two basic groupings of Celtic language: Continental and Insular. Each of these are broken down into further divisions of Q-Celtic or P-Celtic. The distinctions between P- and Q-Celtic are made based on the differences like those in the words for son and head  in Irish, mac and ceann, and in Welsh, map and pen. In Continental Celtic, there were a number of languages: Cisalpine Gaulish (Northern Italy), Transalpine Gaulish (France, Switzerland, Austria, Germany), Galatian (modern Turkey/Anatolia), Lepontic (Northern Italy), and Celtiberian (Spain/Portugal  the only continental Q-Celtic language). These languages are no longer spoken. In Insular Celtic, there are seven languages known for certain. The Goidelic (Gaelic) Q-Celtic languages are Irish, Scottish, and Manx. The Brythonic (or British) P-Celtic languages are Welsh, Breton, and Cornish, as well as the long-dead Cumbrian language. Pictish seems to be an archaic form of P-Celtic. In discussions of religions of antiquity, reconstruction refers to the process of building a model of previous historic and pre-historic traditions, and then examining that model for ideas of how to implement those traditions in a modern, practical sense. The specific definition of reconstruction which fits our usage best is, an interpretation formed by piecing together bits of evidence. In the case of CR, what we are attempting to model are the various forms of pre-Christian Celtic spirituality. We do this in order to create a modern spiritual practice that retains as much authentic older material as possible while also being workable in the modern world. We do this because we feel called to Celtic Deities and a Celtic worldview, and we wish to help preserve modern Celtic languages, music, and cultures. CR is a new tradition based on old ideas and ideals. We work with the best current scholarship we can find to try to understand the cultures of the early Celtic peoples, and what they were doing in terms of pre-Christian, polytheistic spiritual traditions. We also participate in the traditions of the current, living Celtic cultures in ways that express a polytheistic, animist spirituality. But while many Pagan elements have survived in the living Fairy Faith and other folkloric practices, in terms of a complete, polytheistic, Pagan religion, CR does not have, nor has it ever claimed, any unbroken lineage to the pre-Christian past. Along with the work of scholarship, we also rely on our own iomas and aisling - our inspiration and our visionary practices  to help us find ways to integrate old practices into a new time and setting. One of the primary thought-exercises behind the development of CR is what would the Celtic spiritual cultures look like if they had been uninterrupted by Christianity? All religions and traditions grow and change with time. If Celtic polytheist cultures had been uninterrupted from the Iron Age until today, they would still look very different from what was being done in the Iron Age, just as Hinduism and other spiritual paths have, over time, changed in their own lands and cultural matrices. For many years there had been a general dissatisfaction with the popular approaches to Celtic Spirituality, and a number of individuals were in dialogue about how to create a more authentic approach to polytheistic, Celtic religion. Over the 1980s, a growing number of people began coming together to discuss the issue and share information about their Proto-CR practices. A key event in laying the groundwork for much CR practice was the 1985 Pagan Spirit Gathering in Wisconsin, USA, and its Celtic discussions and workshops. Participants at this gathering returned home and continued to develop the foundations of their CR sub-traditions, incorporating some of the ideas they had shared in person. In later years, some of them would re-meet online and once again collaborate. The first appearance in print of the term Celtic Reconstructionist, used to describe a specific religious movement and not just a style of Celtic studies, was by Kym Lambert ní Dhoireann in the Spring, 1992 issue of Harvest Magazine (Southboro, Massachusetts, USA). Ní Dhoireann credits Kathryn Price NicDhàna with originating the term Celtic Reconstructionist; however, NicDhàna credits her early use of the term to a simple extrapolation of Margot Adlers use of the term Pagan Reconstructionists in the original, 1979 edition of Drawing Down the Moon. Though Adler devotes space to a handful of Reconstructionist traditions, none of those mentioned are specifically Celtic. Also in Drawing Down the Moon, while describing his Neo-Druidic group, NRDNA, Isaac Bonewits used the phrase Eclectic Reconstructionist. However, by the time CR became a recognized tradition, this pairing of terms had become oxymoronic, as Reconstructionism in the Pagan/polytheist sense had now been defined specifically to exclude Eclecticism. NicDhàna and Ní Dhoireann have stated that they coined the term CR specifically to distinguish their practices from those of eclectic traditions like Wicca and the Neo-Druidry of the time. Erynn Rowan Laurie also began using the name Celtic Reconstructionist at some point in the 90s, though NeoCeltic was her initial term of choice. With Ní Dhoireanns popularization of Celtic Reconstructionism in the Pagan press, and then the use of the term by these three individuals on the Internet, Celtic Reconstructionism began to be adopted as the name for this developing spiritual tradition. There isnt one. Individual groups may have leadership, though some groups are much more informal. In addition, there are a number of people who have gained respect within the broader CR community for their ideas. However, there is no authority which derives from that respect, and that respect is not usually universal nor absolute. We all work for what we have here. See also Are CRs autonomous or is there some sort of governing body? and How do you determine who your spiritual elders are when you dont always have an ordered hierarchy? See also What can I do to get started? Celtic culture never died. While Celtic languages have at times been endangered, several of them never completely died out, and Welsh and Scots Gaelic, at least, are showing signs of new growth. Cornish has tenuously returned from language death, with a very few people now speaking it as their first language, and a few more having become fluent in it as a second language. Many of the art forms like music, poetry, literature, visual art and dance continue with great vigor. Most CRs are deeply involved in maintaining these parts of the living cultures. Both. CR is a polytheistic religion that is based on our understanding of, and participation in, the living Celtic cultures. We see our religion as inseparable from culture. A primary reason CR developed was because we felt the need to keep Celtic spiritual practices and beliefs as much within the context of Celtic cultures as possible. Calling something Celtic means it should be rooted in the culture and not in practices and beliefs from outside of the culture. The process of applying a Celtic veneer over a core of non-Celtic material is akin to dressing an alien practice in knotwork and tartan; it may look Celtic to those unfamiliar with Celtic ways, but its substance is not. In the 1980s, all the Celtic Pagan religions we were coming across were variations on this non-Celtic pattern. We were looking for the depth and internal consistency that comes with a specifically culture-based religion, rather than the scattered and, to us, shallow experience of an eclectic or universal spirituality. We needed our religion to be an integrated part of a whole cultural matrix, rather than separating our spiritual lives from our daily lives. Few CRs live in a completely Celtic society, so we cannot claim that everyone who identifies as CR is part of the living Celtic cultures. However, many CRs are involved in the activities of the Celtic diasporan communities, or in these communities in the Celtic lands. Supporting the cultures from which our traditions arise, and helping them grow and thrive, is symbiotic with Celtic spirituality, regardless of whether we live in a Celtic country or in the diaspora. Our aim is not to exactly resurrect a historical culture, but we do look at historic as well as contemporary Celtic cultures to help understand how to ground our practices and beliefs in our daily lives. It also helps to understand that, while we are working to practice a Celtic religion, being a Celt by the strictest definition is not necessary, just as it is not necessary to be Asian to practice Buddhism, an Asian religion. There was never one monolithic Celtic culture, so there will probably never be one monolithic CR culture. We are too diverse for that. There were (and are) many Celtic lands, and even within those lands there were a variety of customs, practices and beliefs. Its no surprise that this variety is reflected in CR. Not only are there differences in our religious beliefs, but there are also differences in the customs we choose to adopt from living and historical sources as well as our interpretations of these customs. In a cultural religion, the importance of custom can sometimes outweigh the importance of belief, so some cultural groups may have members who decide to share certain practices even though their own beliefs behind them might vary. It is often easier for some to agree to a custom than to every specific detail of the beliefs behind it. Those differences in belief might be argued, hopefully in a congenial manner and with good references to support them, but despite any differing interpretations of why we do something, the customs we share can bond us all the same. See also: Is Celtic Christianity a part of CR? When people in the Six Celtic Nations and the diaspora use this phrase, it can have a few different shadings of meaning. In the strictest definition, the living Celtic cultures refers only to the cultures lived by the people who have grown up speaking a Celtic language, in a community that still has that language as their primary or co-primary language. In looser usage, it can also refer to the cultures of those who speak a Celtic language to a much lesser extent, but who still maintain the traditional attitudes, customs, beliefs and artforms of the Celtic people who are more immersed in that language and culture. Usually these people are the children or grandchildren of those who did speak the languages, and though they may not have learned a Celtic language in their household while growing up, the culture of their family has not yet had a chance to drift too far away from its roots. Some people of Celtic heritage, whether living in the Celtic Nations or the diaspora, also consider themselves a part of the living culture, even if they don't speak a Celtic language. In these cases, their identification with Celtic culture may be largely an ethnic thing, but it usually involves at the very least the participation in Celtic cultural events, and some degree of respect for the languages, even if they may not be active students. In CR, when we use the phrase, living Celtic cultures, we are usually referring to the stricter definition, which, as these things are not always defined by rigid boundaries, can at times fade into the second. Though most of us refer to our traditions as Celtic Reconstructionist, and there is a core set of shared principles and some shared ritual structures, in many ways CR is an umbrella term for a variety of sub-traditions. In the eighties and early nineties, a variety of names were in use for the early approaches to the tradition. In retrospect, many of those things are now referred to as Proto-CR.